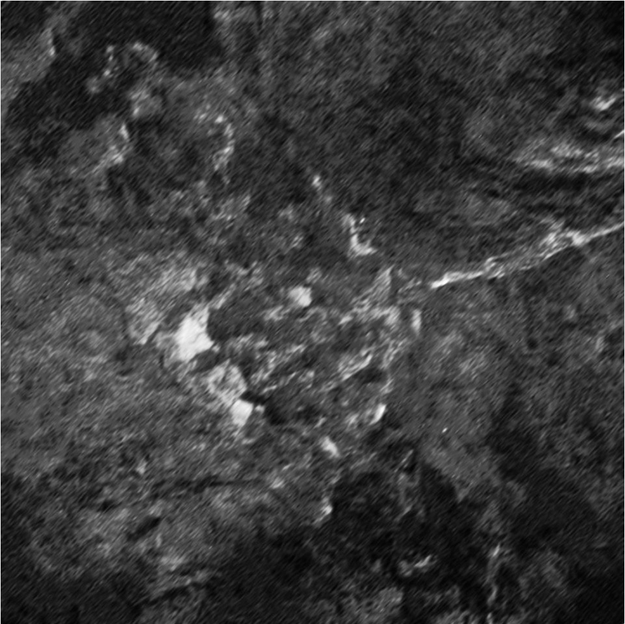 This image was acquired by Philae's CIVA camera 7 at the final landing site Abydos, on the small lobe of Comet 67P/Churyumov-Gerasimenko, on 13 November 2014. This portion of the surface was in shadow, so the dynamics have been highly stretched to reveal the details of the nucleus. Together with camera 6, this image has been used to create an anaglyph view of the local topography.